Talk about eating your feelings. 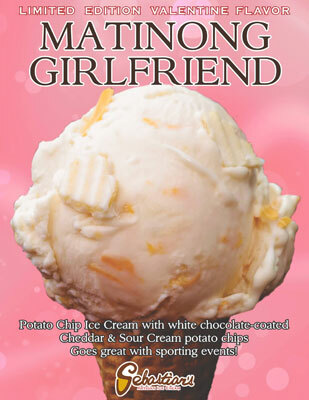 Whether you just want Closure from Unresolved Issues or a Matinong Boyfriend or Matinong Girlfriend for Valentine's Day, Sebastian’s Ice Cream has you covered. 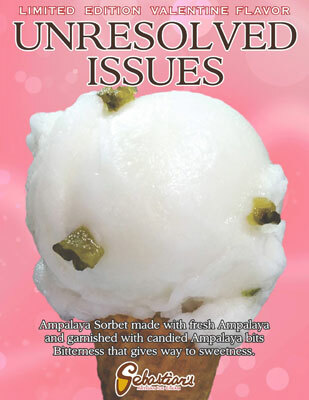 We LOL-ed when we saw the ice cream shop’s 2015 Valentine Ice Cream Collection, because well, we can literally eat our feelings. 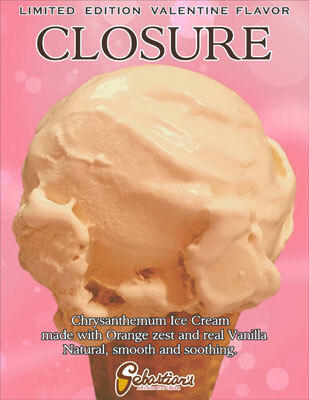 The description of the flavors are spot on: Closure tastes “natural, smooth, and soothing” while Unresolved issues is the perfect combination of bitterness and sweetness. 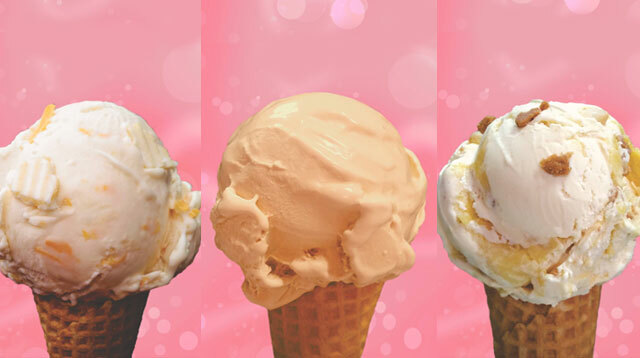 Check out their four flavors that you can get from their stores beginning February 13. So if your douchebag of an ex-boyfriend still hasn’t given you the closure you deserve, at least you can get a taste of it. 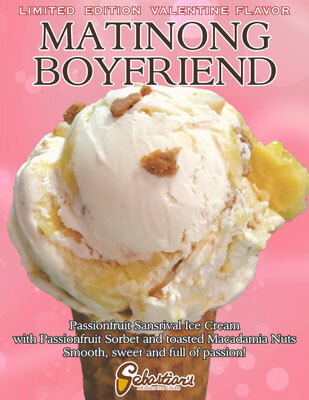 Sebastian’s is available at Regis Center in Katipunan, The Podium Mall in Mandaluyong and SM Mall of Asia in Pasay City.